At Associates in Gastroenterology, we utilize the latest technologies and evidence based procedures to ensure your digestive health. Take a look at some of the services we provide. Our physicians believe in compassionate medicine, where patients feel reassured and unrushed. Based on this philosophy they have chosen to provide for you an outpatient endoscopy center that provides high quality care in a friendly, relaxed setting. Our physicians schedule most outpatient procedures at Associated Endoscopy, LLC, an outpatient, endoscopic facility specializing in colorectal cancer screening and the treatment of various digestive diseases. 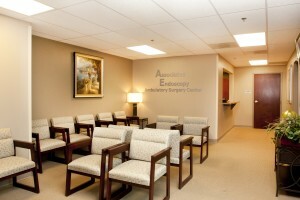 Associated Endoscopy is located in Suite 532, the adjoining office to Associates in Gastroenterology. 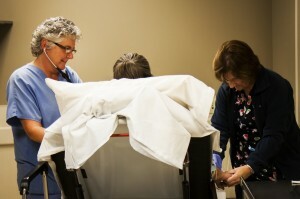 The staff of Associated Endoscopy are licensed nursing personnel that are GI specialty trained. This facility is an AAAHC accredited and is owned and operated by AmSurg, Dr. James, Dr. Lee, Dr. Lazas, Dr. Patil, and Dr. Finnegan. The physicians of Associates in Gastroenterology will also use the Summit Medical Center outpatient endoscopy center if they feel that hospital care is needed or if your specific insurance mandates.